Every now and then a piece of kit comes along that makes life so much easier. Often it’s something very simple and inexpensive. 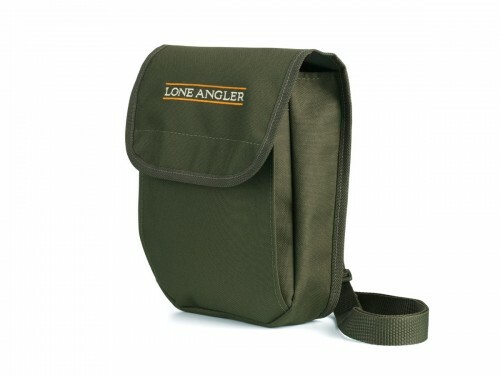 So it was when I bought the Lone Angler Deluxe Bait Pouch. I do a great deal of wading in both the summer and winter months. In the past I have used a couple of bait pouches which go around your waist. What I often found was that they would get wet when wading at something approaching waist level, which was rather annoying. All the contents get soaked along with the bag and when using maggots, they end up in a right mess! Also I have to take it off when I sit down as everything falls out otherwise, another downside of a waist mounted bait bag. 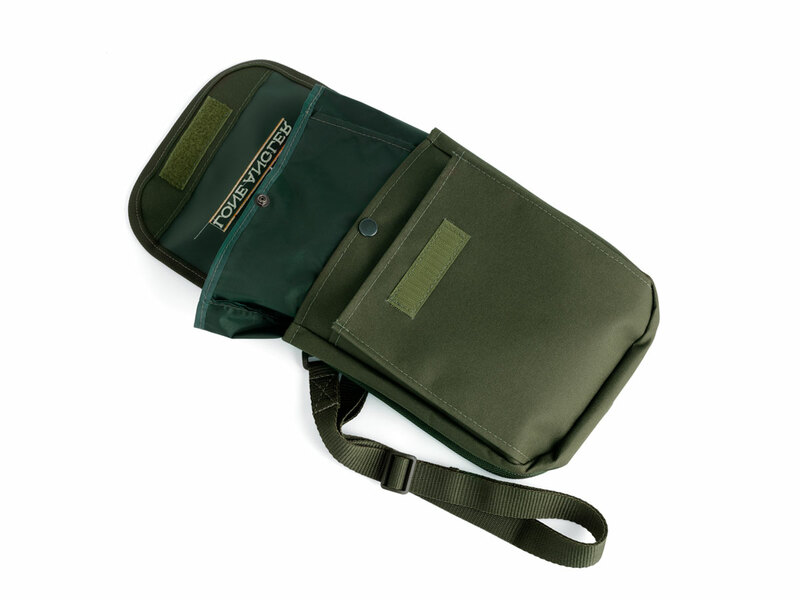 The design of the deluxe pouch is intended to hang from the neck. That immediately raises the pouch well above the waterline I’m likely to be wading at, keeping the pouch and its contents dry. So no more soggy maggots climbing out of a now damp bag. The strap is adjustable, so it can be raised or lengthened. It has two compartments. The main one has a press studded waterproof nylon inner, removable for cleaning. In the summer this is ideal for baits like hemp and tares and in the winter it’s perfect for maggots. The front compartment is smaller, and this is where I tuck a few alternative hookbaits. There is also ample room to tuck in some hooks, shot, disgorger and even forceps or scales. 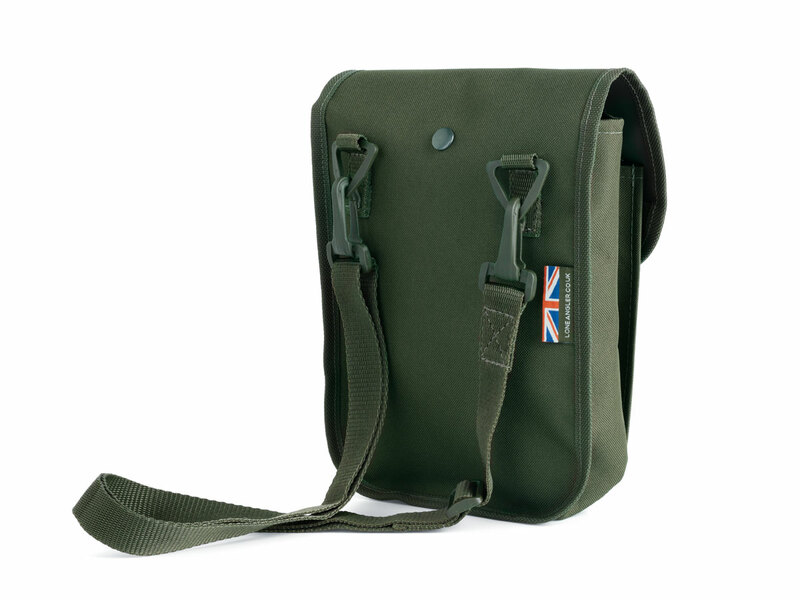 The Deluxe Bait Pouch is made right here in the UK. The workmanship and design are exceptional and to be honest the price is exceedingly low for a product of this quality. As an angler who likes to spend a great deal of his time waist deep in the river, this product really has made my days trotting a float much, much easier. It was £17.50 well spent. 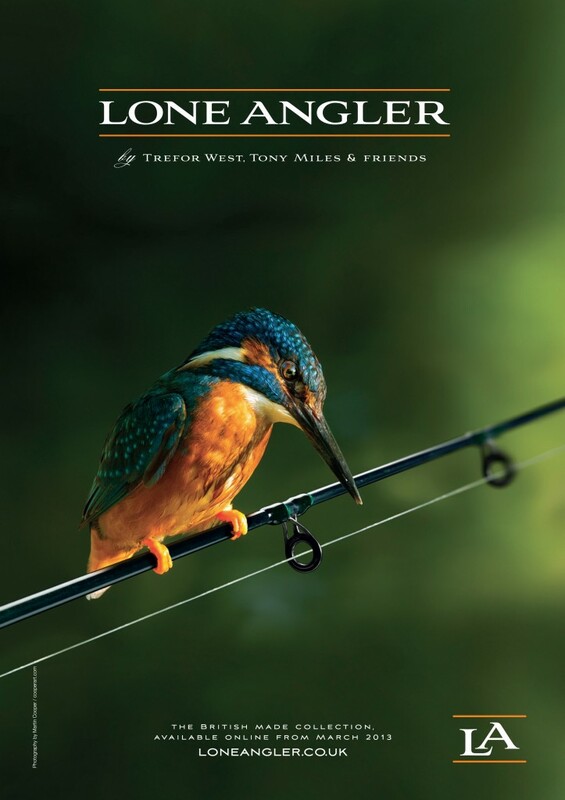 So treat yourself this Christmas to a Lone Angler Deluxe Bait Pouch.